Are you one of those people who love to decorate and redecorate your home? Do you wish you had a bigger residence so that you would have even more rooms to decorate? Then maybe it is time you learned how to start a home staging business. At Decorate-Redecorate, you will find a number of courses designed to get you up and running in your own restaging or interior decorating business in no time. No, you are not looking at months or even years of study or thousands of dollars in costs for ineffective courses or lengthy seminars that may give you only a few of the facts you need in home business staging training. Here you can learn everything you need to know in seven days or less from a consummate professional with years and years of experience. Regardless if you are searching for basic training or if you have already learned the basics and want to get into the more advanced program, you will find what you need at Decorate-Redecorate. Preparing a residence using these techniques has become a crucial part of selling a home today. Everyday more and more homes are going on the market, partly because of people who purchased their homes with interest only loans who are now finding their house payments out of reach now that the principal has been added in. Have you seen the lists of homes that are currently being repossessed? It is frightening, to say the least. These people, as well, are in need of someone who can restage their home in order to sell it quicker and avoid losing it all together. Now is definitely the time for you to get that home business staging training so that you can start cashing in on the redecorating business, which is just busting open. There is a lot of money to be made. Can you image making from seventy-five to three hundred dollars an hour just for doing something you have been doing for years in your own home? Get out of that boring old job you have been working at for years. Start your own business and start earning more money than you ever thought possible. Do yourself a favor and check out all of the clear, concise courses being offered today at www.decorate-redecorate.com. 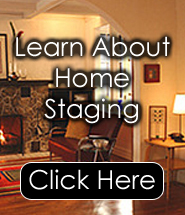 You can learn how to start a home staging business in no time at all, and you will receive excellent, informative training based on decades of experience and years of proven, solid work.